The LEAF programme encourages environmental education through awareness raising among students, teachers and the wider community. The LEAF programme aligns itself with Education for Sustainable Development (ESD), the Global Action Programme (GAP) and the new Sustainable Development Goals (SDGs). The LEAF programme is operated in a thematic manner. Participating countries encourage schools to work on the current LEAF theme. The programme looks at all the functions of forests. Schools that fulfil the Forest Cycle are awarded a Certificate of Achievement in recognition of their work. In a number of countries, they are awarded in the form of a LEAF plaque. This depends on the resources of the coordinating organisation within each country. The Forest Cycle fulfils many of the objectives of Education for Sustainable Development and the Global Action Plan. The National Operator is responsible for assessment and delivery of the LEAF Award in their own countries. The Forest Cycle is outlined in more detail below. 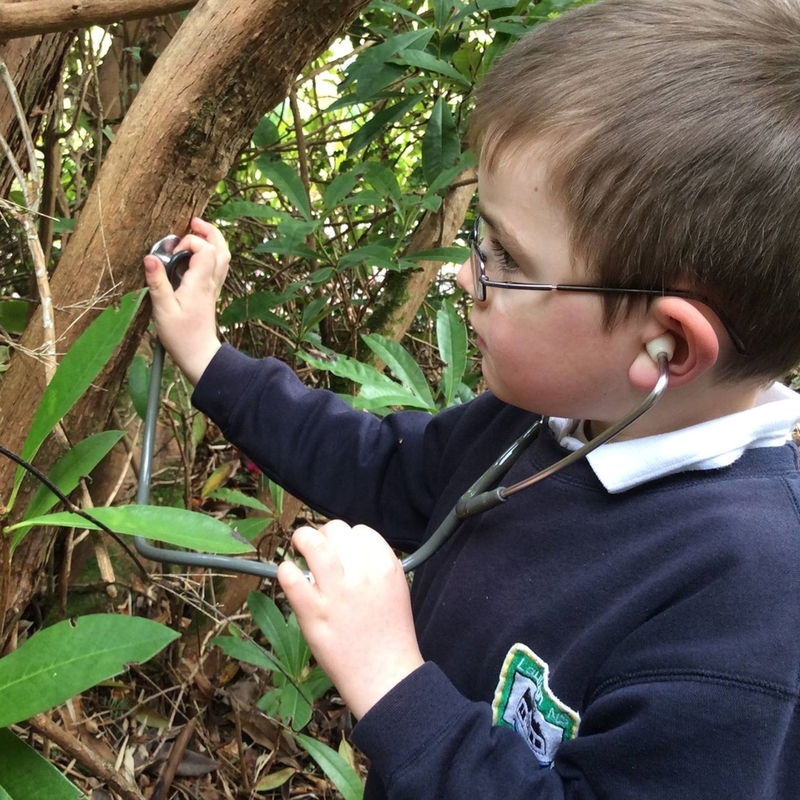 A number of LEAF countries are running the programme through an existing forest school programme. These countries are not following the Forest Cycle or awarding the schools for their participation in the LEAF programme. However, their work is still acknowledged by LEAF International as they are still fulfilling the goals and objectives of the LEAF programme. Such schools may be awarded a Certificate of Participation. The Forest Cycle methodology is a series of carefully engineered measures to help schools maximise the success of their LEAF ambitions. The method involves a wide diversity of individuals from the school community - with students playing a primary role in the process. Schools work through the cycle and once they have successfully completed the cycle the school applies for the LEAF Award. Once a school is awarded, it can be renewed every year. For a school to be considered for the prestigious award they must fulfil certain criteria. While the LEAF Award will be given to schools that complete all the essential elements of the Forest Cycle, it should be remembered that the programme is flexible, and that different countries will find different routes to achieving the LEAF Award. For schools looking for further information, please contact your relevant National Operator for advice. Every year on the 21st of March (International Day of Forests) the Food and Agricultural Organisations Forestry Division adopts a new theme for the ensuing twelve months. Owing to the relevance of these topics in a LEAF context, Learning about Forests has elected to follow these themes and adopt them as their own on a yearly basis. The themes are disseminated to the National Operators each year along with the wealth of material the FOA produces in terms of well-researched resources which are frequently translated into many languages to a high standard. While working with these themes is far from mandatory, they do offer a focal point for schools who wish to address an aspect of forests that is contemporaneous to the global situation. Projects can be undertaken and shared and compared with other schools in the network. The current theme for Learning about Forests is "Forests and Sustainable Cities" and you can find out more about the topic here.